Why the US would do well to keep out of the Syrian conflict. 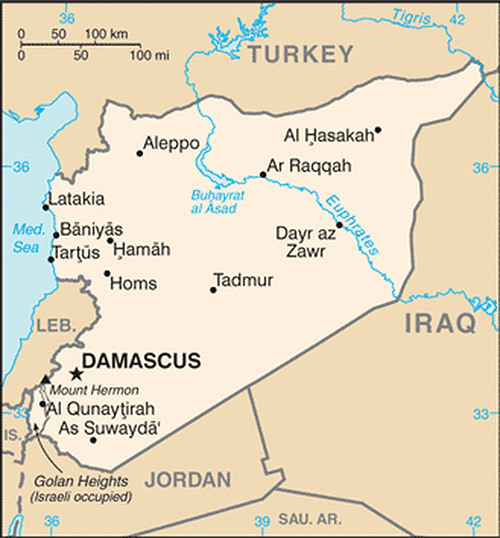 The conflict in Syria has been occupying much of the news recently. Having seen the rug pulled from under his feet by the actions of British Prime Minister Cameron, President Obama would appear to have found his isolation on the world stage increasingly uncomfortable. Cameron was cunning in his plan. Having discovered a complete lack of enthusiasm for war in Syria among the British populace, he passed the decision over to the British Parliament, expecting them to reject such a move. They did, and now he is off the hook. He “wanted” to do it but they stopped him. Is Obama now trying to pull the same face-saving trick with Congress? Turning to the war itself, there seems no logic behind the idea of punishing Assad, for his alleged use of chemical weapons to kill his people, by lobbing into Damascus a bunch of cruise missiles to kill even more of his people. You can be sure that it will be innocents who are killed, rather than a military who have been given so much advance warning that they will be well clear when and if the missiles arrive. Such an attack is also more likely to boost support for Assad rather than undermine him. The idea of supporting the Al Qaida backed rebels is also questionable. Why would the US be taking actions calculated to give succor to one of its worst enemies? Al Qaida arose from the ruins of Afghanistan and from the US-armed Mujahedeen who had fought a successful proxy war against the Russian invasion of their country. It seems that the US is unable to learn from history. The Russians too are somewhat unhappy about the specter of US military involvement in the affairs of a country which has long been one of their clients, and President Putin has threatened retaliatory action in the event of a US strike. Is support for the rebel forces really worth the risk of a possible WW3? Who has most to gain from the destruction of Syria? None other than the Israelis! The more that Arab powers around them self-destruct, the more secure they become in their own little fiefdom. 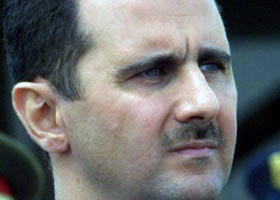 There have been reports of them supplying the rebels with the gas and orchestrating its use in ways to implicate Assad. Don’t think it couldn’t happen. There are few governments more ruthless (out of necessity) than them, when it comes to their national interest. Regarding the so-called evidence presented to Congress by the Obama administration, one has only to look back to Bush and his WMD nonsense to see how easy it is to fabricate this stuff. In the US, it is the out-of-control military industrial complex which is pushing for war – the ones who will profit from it no matter how the endgame might turn out – and a sector with more than enough power and influence to manufacture any “evidence” required to initiate aggression. Add to them the power of the Jewish lobby in DC, and Obama is under immense pressure to act, regardless of the wishes of the American people as a whole. Throughout recent history, Middle Eastern stability has been maintained by ruthless hard men – people such as Hussein in Iraq and Sadat in Egypt and Assad in Syria. Take them out, and as can be seen from the example of Iraq, stability is destroyed and the lot of the people becomes very much worse. Far more Iraqis have been killed both during and after the demise of Saddam than died under his rule. “Freedom” as defined by Bush is not much good if you are dead. Same could equally apply to the Syrians.